Many travelers don’t anticipate having a medical emergency when they are far from home, but the truth is that car accidents, heart attacks, and food poisoning happen everywhere. Do you know what to do if you experience a medical emergency abroad? 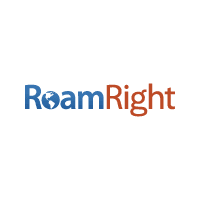 As a travel insurance provider, RoamRight sees customers who experience emergencies throughout the world: one man fell off the sailboat in the Virgin Islands and tore his hamstring; another developed pneumonia during a trip to Norway and had to be flown home via air ambulance. First and foremost, if you are experiencing a true medical emergency abroad, seek local help immediately. Many Americans forget that 9-1-1 is not a global phone number. Before you reach your destination, be sure to memorize the local emergency phone number and know how to seek emergency help. If your situation isn’t urgent, but still needs medical attention, you can take a few moments to find a referral to a local provider. If you have a travel insurance policy (like the kind available through RoamRight), you have a phone number to call for these instances. Available 24/7, RoamRight’s assistance provider can help you find quality local medical care. If you do not have such a resource available to you, check with a hotel concierge or other knowledgeable local. Not all hospitals, clinics and physicians are the same, and it’s important to find the best one for your condition. It’s also important to understand your insurance coverage. In some cases, medical treatment may not be as expensive as it is in your home country. But in others, an unexpected emergency can cost thousands of dollars that need to be paid out-of-pocket. (The case of pneumonia in Norway? About the cost of a large, brand new luxury car.) A hospital may refuse treatment or hold you for discharge unless they receive payment upfront. Understanding how your primary medical insurance and your travel insurance work together can ease a lot of concerns when coping with a medical emergency. Finally, if you have travel insurance, be aware of the benefits before you leave on your trip. If you’re hospitalized, you may be able to have a family member come visit you. If you need to be moved to a different hospital for better quality of care, this may be covered as well. If you need a translator to speak with the medical staff, you may be able to access one. There are many benefits that are included in a travel insurance policy that you may not be aware of prior to needing them. Still concerned about what to do in a medical emergency abroad? Download the free RoamRight mobile app and you’ll have access to easily purchase travel medical insurance, translate 150+ medical phrases into more than 7 different languages and dialects, and find the local equivalent of your over-the-counter and prescription medications.